The Executive Director of the Bulgarian Construction Chamber (BCC) Eng. Miroslav Maznev held a working meeting with the management of the Regional Office of BCC in Razgrad. It took place in the Old Pliska Complex. At the meeting were discussed topical issues of interest to companies in the region – the criteria in the tenders, the relations between main contractor and subcontractor, the lack of qualified staff, etc. On behalf of the Regional Office of BCC – Razgrad participated: the Chairman of the Regional Office Eng. Georgi Izvorov, Eng. Mihail Draganov – member of the MB of BCC and District Board of the Regional Office, Svetoslav Petrov – member of the District Board of the Regional Office, the Chairman of the Control Board of the Regional Office Mincho Hristov and the members of the Control Board Eng. Atanas Atanasov and Tsvetan Ivanov, as well as other representatives of the local structure. The meeting was also attended by the editor-in-chief and procurator of Stroitel Newspaper and PR of the Chamber Reneta Nikolova with a team of the branch edition. At the beginning Eng. Miroslav Maznev sent to the members of the Regional Office of BCC – Razgrad greetings from the Chairman of the MB of the Bulgarian Construction Chamber Eng. Iliyan Terziev and his wish the problems of the local members of BCC to be heard in order to find ways for their solution. “We decided to hold such meetings with the Regional Offices, at which we can discuss what has been achieved so far in a more informal environment, as well as the current issues and difficulties faced by the construction companies in the region, to make review of the past year and to talk about what is ahead of us,” said Eng. Maznev. The Chairman of the Regional Office of BCC – Razgrad Eng. Georgi Izvorov welcomed the participants in the meeting. 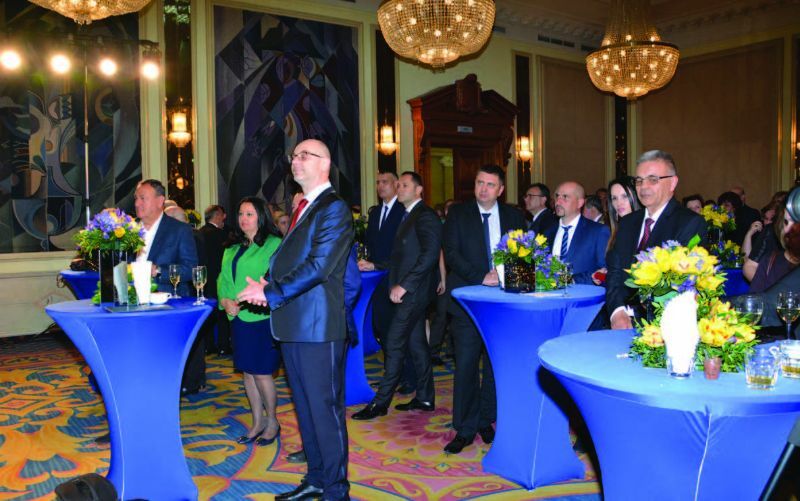 He informed them about the results of the held at the end of January Management Board of the Chamber in Stara Zagora and about the decisions of the General Meeting in Sofia held in February. “A man of enormous authority–Eng. Iliyan Terziev was elected at the General Meeting of BCC and almost unanimously,” said Eng. Izvorov. He gave the floor to the member of the MB of BCC Eng. Mihail Draganov to present the main problems with which the local companies face. “The market is fragmented; the criteria and the conduct of tenders remain among the main issues. It is not normal a company registered one month before a tender to win it at the highest price thanks to a stated term of performance one day before the other participants,” said Eng. Draganov. Work at the lowest prices destroys the sector, he added. As another important problem for the companies Eng. Draganov defined the relations main contractor – subcontractor and appealed to the Chamber by all means to intervene to regulate these relations. Eng. Izvorov added that at the General Meeting the newly elected Chairman Eng. Terziev had said that big companies without smaller ones could not perform their full activities. “The main problem comes from the financial parameters in which subcontractors work. For the good development of the sector a framework should be determined for this to happen,” said the Regional Office Chairman. The Executive Director of the Chamber Eng. Maznev thanked his colleagues from the Regional Office of the Chamber in Razgrad for the invitation to attend the working meeting. “The Chamber’s management appreciates this desire to openly discuss the problems of the sector. It is during such meetings that we can talk about specific issues and look for common ways to act. 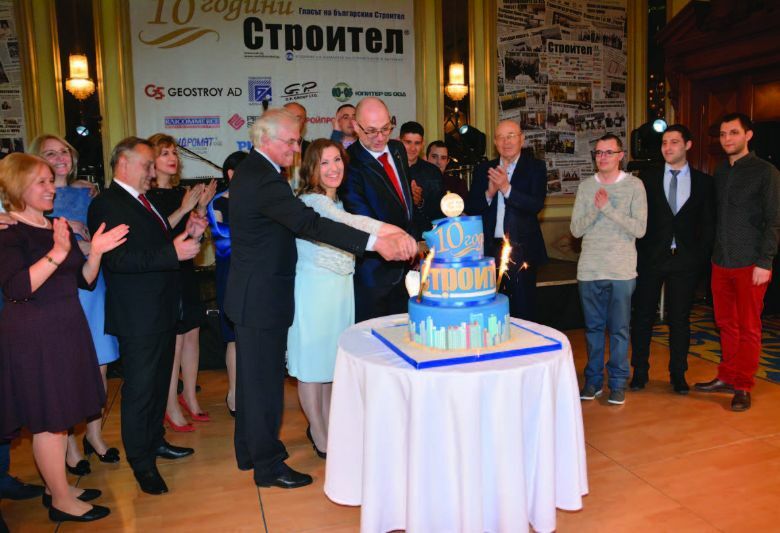 Because the power of the Bulgarian Construction Chamber is to be united,” said Eng. Maznev. “The low prices of work are a serious difficulty for construction companies in Bulgaria. We saw what happened to the building that caught fire in London. There the thermal insulation was made for about 250 pounds per square meter and we make it for 45 pounds. Materials and techniques are the same as those we use. The only difference is labor force and wages. That is why I think the prices of the construction product should be raised and hence the wages of the workers in the sector. In this way we will keep the qualified work force to stay, live and work in Bulgaria,” said Eng. Maznev.